Almost every person in every society around the world has been touched in some way by a person living with disability. Fathers, mothers, brothers, sisters, extended families, and friends – all have been impacted by the life of someone with a developmental or intellectual disability. 650 million people in the world live with a disability. Empowering people with different abilities is our passion. People with disabilities have hopes and dreams just like you and me; but their futures are often molded by the attitudes and perceptions we have about them. If we don’t change our way of thinking, then nothing will change. 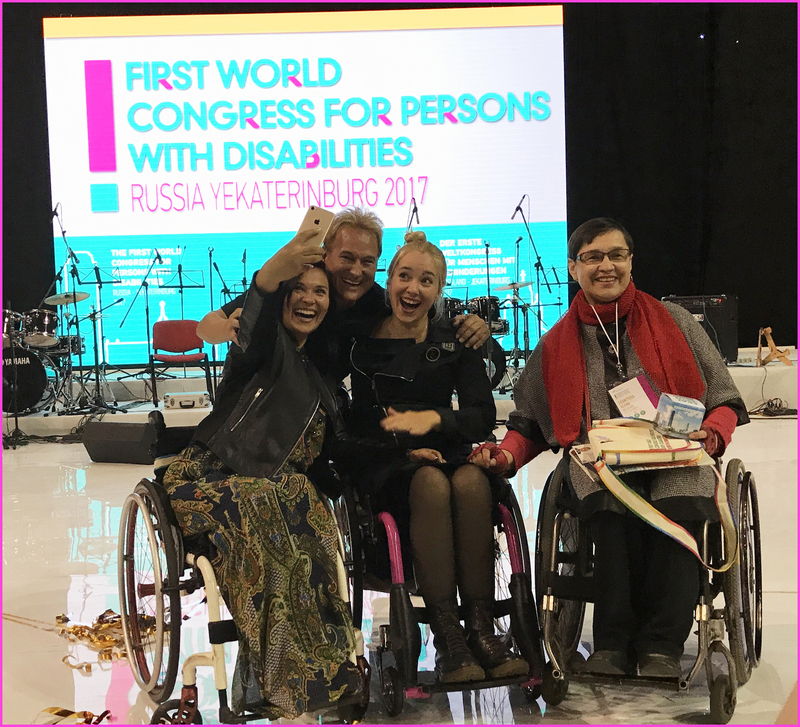 In spite of international laws and policies, many people with disabilities still find themselves pushed to the margins of our societies. And almost all encounter prejudice, bullying, and discrimination. These attitudes and actions cause their world to become smaller. Their opportunities become more limited, and, ultimately, they withdraw from the wider community. As a global society, it is time for all of us to start appreciating what they can do and stop focusing on what we believe they can’t do. This short documentary allows some extraordinary people with different abilities to tell their stories in a compassionate and captivating way. Their experiences can move us one step closer to transforming our attitudes and fostering hope. 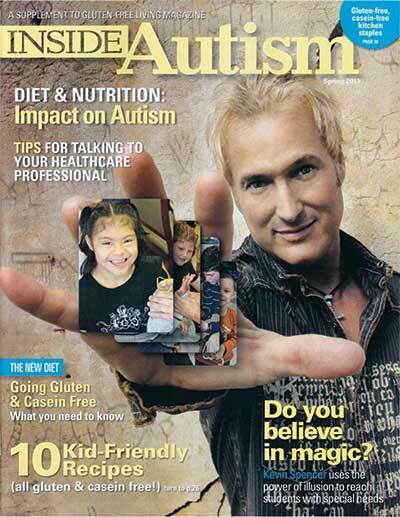 To find out more information about Spencer’s work with children with Autism Spectrum Disorders, you can download this article from INSIDE AUTISM magazine. You can also visit his website, KevinSpencer.info. Everyday in the U.S., 1 child in 7 is born with a disability. Around the world, there are more than 110 million children and more than 650 million adults living with a disability. The statistics are staggering…and rising. Everyone who supports people with disabilities is, in some way, an advocate for their best interests. The international conversation about disability issues has been taking place for years but change – real change – must happen in the hearts and minds of ordinary people, not merely in policy and law. The reality is these individuals don’t want our sympathy; but, in order to flourish, they do need our understanding and support. They want us to know they are capable of doing remarkable things, that they can lead full and productive lives, and that they can participate richly in the life of their communities. We must make a way for them to have that chance by advocating – loudly and often – for their voices to be heard. You and I can raise awareness of international disability issues, change people’s perceptions and attitudes, and provide opportunities for individuals with different abilities to share in the global society. I believe part of the process that will lead to meaningful change is to provide a platform for disabled people to tell their stories in a compassionate and captivating way. Their experiences can move all of us one step closer to transforming attitudes and fostering hope. Without this change, there is little chance for those living with disability to improve their struggle and find relevance in the community at large. If you agree that we can’t stay where we are on this issue, then I hope you’ll be a part of looking for a better way forward. And there are things you can do right now to help raise awareness, starting in your own circle of friends. Disabled World offers informative videos to help make people aware of disability issues. Educate yourself on the proper etiquette for social interactions with people with disabilities. Encourage the local businesses you frequent to make sure their properties are accessible to people with disabilities. Volunteer once a month to work with an organization that serves those with different abilities.